The 2019 Honda Civic is the latest in the Honda lineup of Canada’s favourite compact passenger vehicle. There are many reasons why Canadians love the Honda Civic – it is affordable, reliable, and offers a comfortable and smooth driving experience. The 2019 Civic is loaded with amenities and features that have made the Honda Civic one of the best selling sedans and hatchback vehicles in all of Canada in 2019. 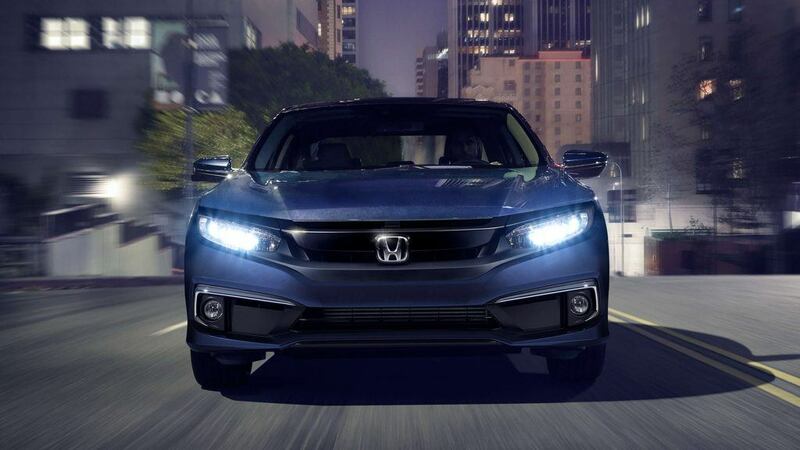 Below, we have outlined our top three reasons to purchase a 2019 Honda Civic at Henley Honda. The 2019 Civic offers one of the largest cabins in its class. Not only that, but the interior space is functional, offering versatility to ensure the most space where it is needed. The front row seats offer plenty of leg room, and the rear seats also offer a comfortable amount of space. The 2019 Civic sedan also offers available 60/40 split fold-down rear seatbacks, to make fitting cargo easier than ever. The 2019 Civic comes with a standard 2.0-L engine, offering premium power. As an option, the latest generation Civic also offers a 1.5-L turbocharged engine at the EX, EX-L, and Touring trim levels. This 4-cylinder engine generates 174 horsepower and 162 lb-ft of torque. This offers fast acceleration and lends to the impressive fuel economy of the Civic. The Honda Civic sedan with a 2.0-L engine offers 25 mpg in the city and 36 mpg on the highway. For an even more impressive fuel economy, the 1.5-L turbocharged engine offers even better. No matter which engine you choose, the 2019 Honda Civic will help you save much more on gas versus the competition. For more information on the 2019 Honda Civic, or to book a test drive for yourself, get in touch with our team at Henley Honda. Our sales team can help you find the perfect trim level to meet all of your needs, so you can be in your new favourite vehicle in no time.